Arada has introduced the ZERO CO from Fondis. 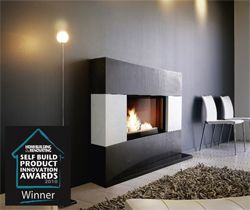 Whilst looking like a normal fireplace, the ZERO CO hides cutting edge technology, not only making this the most efficient fireplace on the market at 89% but also reducing pollutants by 90%. The ZERO CO is available with a range of surrounds – making this technology a stunning addition to any home.